What training does the Stirling CFS do? What are we trained in, what is available? Because Stirling provides a structural, road crash and hazmat response to the local area and surround districts members can be trained in all disciplines – rural fire fighting, structural fire fighting, BA, road crash and Hazmat. 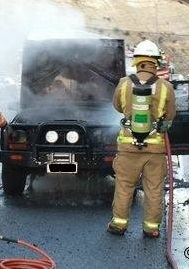 The are also leadership and command courses offered to more experienced members. Positions may also be available to train in courses like defensive driving, confined space entry, working at heights, or the multi agency response team. 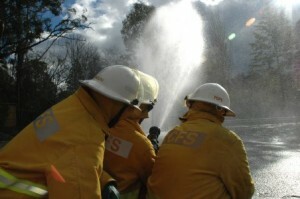 All fire-fighters are trained to fight bushfires and attend minor road crashes in the basic fire fighter training. All other courses are optional, but Stirling encourages members to be trained in all the disciplines, so that we can crew an appliance with appropriately skilled FF – what the community expects.